Think about that for a second. He was the best last season. He was better over his first 47 game games this season. And he’s been even better over the last 12. The guy is ridiculous. 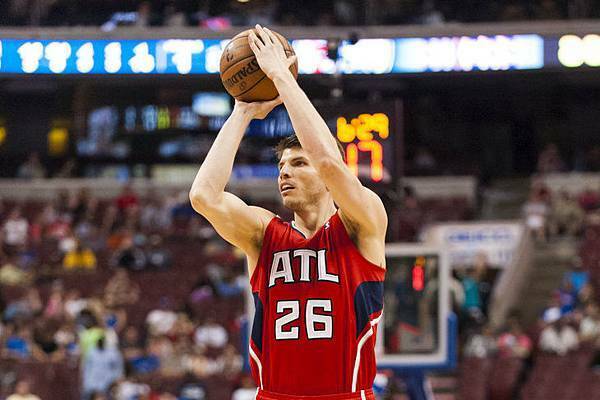 For the season, Korver has an effective field goal percentage of 64.5 percent, a mark which ranks as the best shooting season of the last 32 years. His standard field goal percentage is below 50 percent and he’s not having the best 3-point shooting season of all-time (he holds the record of 53.6 percent in 2009-10), but because such a large portion of his shots have been 3s, his shots have been worth more (1.29 points per shot) than those of any player in NBA history not named Chamberlain or Gilmore. Comparing Korver with Wilt Chamberlain is kind of weird, but it just illustrates how incredible he’s been this season. He’s shot 10-for-12 from 3-point range over his last three games and will take aim at the Denver Nuggets on Saturday (7:30 ET, NBA TV).